Meeting the needs of independent authors who seek high-quality books and professional service continues to be our first priority as we globally grow our brand. We recognize the long-term value of recommendations from a trusted resource, and we’re thrilled to formally thank those who refer authors to us. Partner with us by referring writers to Purposely Created Publishing for our book publishing services. Introduce us on your website, blog, social media pages or via email using our free promotional materials. 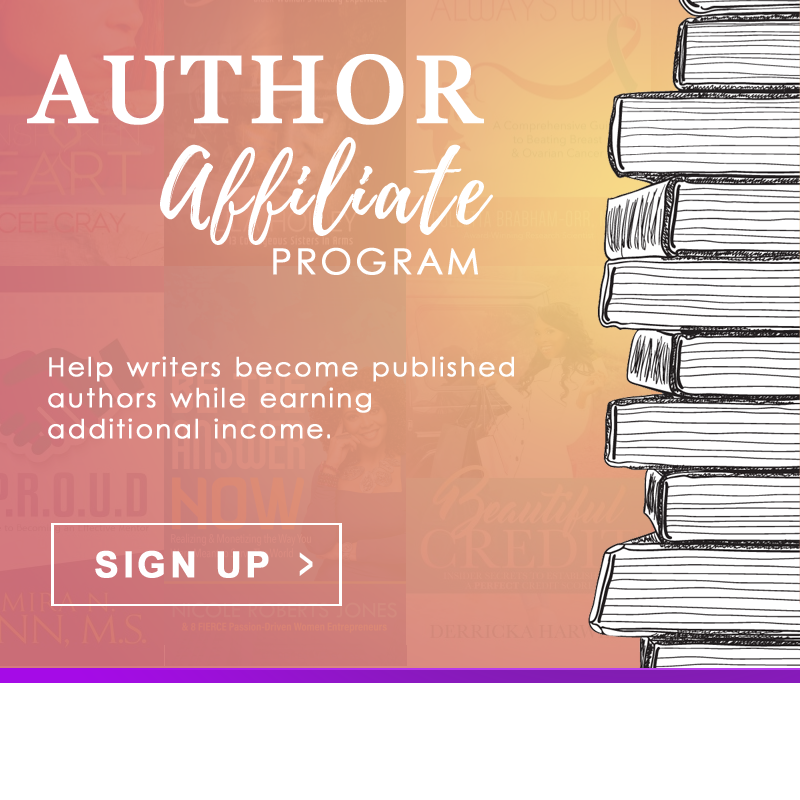 As an affiliate you’ll earn $200 for each referral who signs their first publishing agreement and officially releases their book. Your earning potential is unlimited, but completely depends on your promotional efforts. The more referrals you send our way–the more money you can earn. It’s that simple!